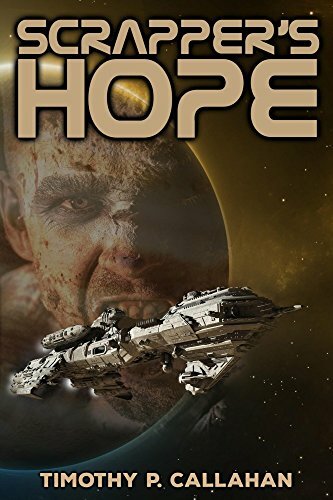 Scrapper, a disgraced United Corp Captain, and his crew of salvagers have found a bounty too large to ignore orbiting a gas giant. Upon arriving on the unnamed science vessel, they find all but two of the crew slaughtered. The survivors, Naomi, a computer programmer, and Professor Litchen, the ship’s lead scientist, tell conflicting stories of crew members turning into murderous monsters. With the ship’s treasures promising Scrapper redemption and a better life, he ignores his instincts to leave. It’s a decision Scrapper soon regrets as the mysteries deepen and the survivors’ secrets are revealed.